Starting us off is the Gasthaus DER BIERMANN in Munich-Riem, practically just around the corner from the exhibition halls of Messe München. Here, tradition and modern gastronomy come together. Because the Bavarians are both home-bound and worldly, international dishes always find their way onto the menu. An absolute hit, however, are the schnitzel baked in butter and the Cordon Bleu Prinzregent. Add to that one of their Kellerbiers brewed in-house and the stress will seem far away. If you want to keep to traditional customs, but above all to the eating habits, then the Truderinger Wirtshaus tavern is just the place. 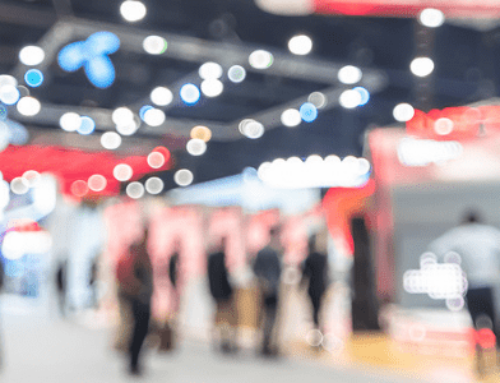 It is very close to the new Messe München and offers hearty Bavarian delicacies as well as Mediterranean and international cuisine. There’s something for all tastes. The selection of drinks is no less exciting, with six different beer specialities, a well-rounded assortment of wines, and refined cocktail creations. 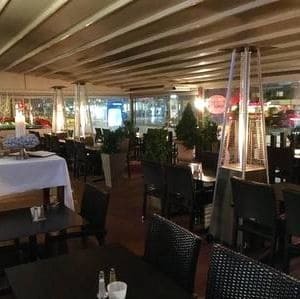 It’s best to make yourself a picture of that special atmosphere – whether you come for the traditional Weißwurst (white sausage) breakfast, to have a nice dinner or to spend the late evening with a fine drink. Not far from Munich Riem, but away from the hustle and bustle of the trade fair, you can enjoy culinary delights in the Restaurant Bauer. 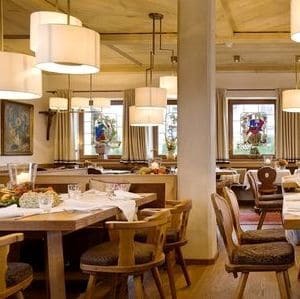 The restaurant is located in the eponymous Hotel “Bauer” in Feldkirchen and is ideal for a stylish meal with business clients. The Bavarian way of life also includes good food and Restaurant Bauer is a haven of living tradition. Here you can expect excellent Bavarian cuisine which enjoys a long-standing and excellent reputation. The fish is smoked in-house, the pasta is of course handmade and even the ice is made in the restaurant. The excellent wines round off the culinary experience perfectly. 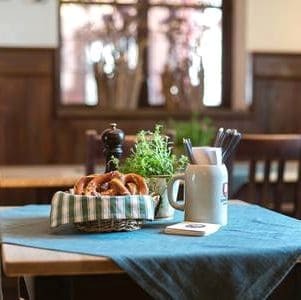 If you want to eat Bavarian food in Munich, it’s best to go to a Wirtshaus (tavern), such as the Franziskaner Garten in the district of Trudering. 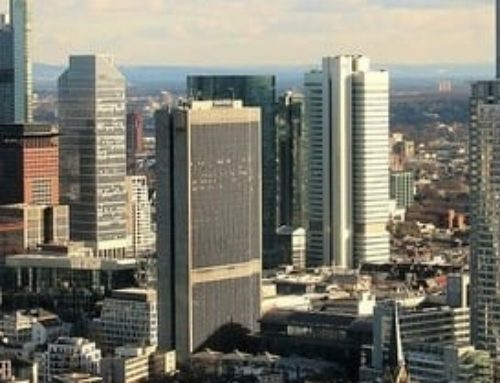 Because the Franziskaner Garten is close to the trade fair centre, it’s a great option for dinners with business partners. Here you can experience the typical Bavarian cosiness and sociability up close. 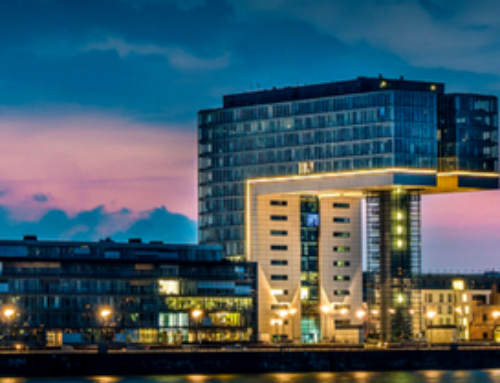 Connoisseurs of Bavarian cuisine will enjoy the regional specialities available here. The menu ranges from hearty snacks through juicy roasts to rich desserts. Everything just tastes so good! The drinks menu is extensive, but the refreshing thing is of course the freshness of everything on the menu. Enjoy the original Franziskaner Weißbier and the Spaten Münchner Hell beer on tap. Sit under rustic chestnuts and enjoy a cold beer – the perfect break for the busy and burdened soul. 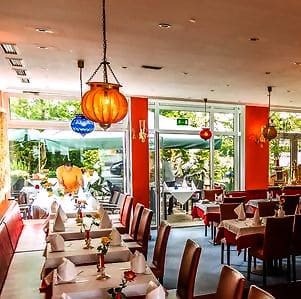 The Indian restaurant Guru, located in the Trudering-Riem district, is the best proof that the Munich gourmet landscape offers a great variety of flavourful adventures. In this lovely venue, you will be introduced to authentic Indian-Pakistani cuisine with all its facets and its enormous range of flavours. The restaurant does so well at this that it has twice been awarded the “Star of Hospitality”. So if you love Indian food, you will get your money’s worth. A crispy fresh salad with olives and feta cheese, a hearty gyros platter with rice and tzatziki or a juicy stuffed pepper fresh from the oven — Greek dishes are really delicious and are reminiscent of warm Mediterranean holidays. If your mouth is watering at that description alone, you should reserve a table at the Greek restaurant Thalassa. Greek cuisine is varied and so Thalassa’s menu is exceptionally extensive. Among the dishes are, of course, various fish and meat dishes and a fine selection of original local wines. The Greek specialities on offer here are so popular that occasionally a prominent guest in Munich-Trudering pops by. Food tastes the best when shared with someone else, and the Malaysian restaurant Champor is the best place to go for this. 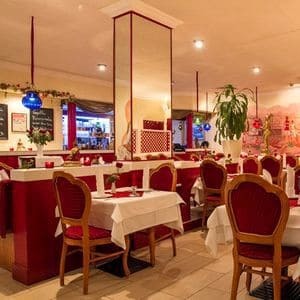 As the first Malaysian restaurant in Munich, it gained a lot of attention when it opened in 2004 and has since firmly established itself in the Munich gastro scene. The name “Champor” translates to “mixed”, because Malaysian cuisine is a sort of fusion with many different influences, among them Indian, Chinese, Portuguese and British cuisine. The culinary diversity in the multi-ethnic country is (almost) limitless, so every guest will find something to their taste in Champor. The hotness ratings “spicy”, “hot”, and “very hot” help with selecting dishes. The kitchen of this homey venue is of a very high standard. Champor is one of the best Asian restaurants in Munich and is so good that it is fully booked every night, so it’s best to reserve in advance. Restaurant Amber will take you on an authentic taste journey to India. The traditional Indian specialities available here, such as meat from the tandoori oven, will trigger a real explosion of flavour. The fact that India’s cuisine is a vegetarian and vegan paradise is also proved to be true here, with around twenty vegetarian and vegan dishes on the menu. As for meat, chicken, lamb, and duck are available; only beef is unavailable, as in India and so also in Amber, cows are sacred. Sitting down together, sharing food, talking to each other, laughing — that’s exactly what Amber is for. Then again the best of beef is in Munich’s surrounding area. 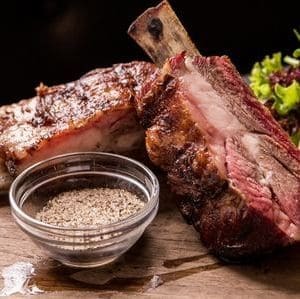 At the T-Bone Steakhouse in Haar, the finest Argentinian Angus beef steaks are prepared for you over an open fire on a lava stone grill — a visit here is a must for real meat lovers! But if you don’t want to eat steak or are even a vegetarian, you can make yourself comfortable in one of the black leather armchairs, because the varied menu has something for everyone. 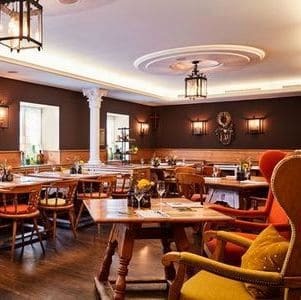 At this steak restaurant, which belongs to Quality Hotel & Suites Muenchen Messe everyone is served and recommended exactly what suits and tastes best. Incidentally, this also applies to the drinks, whether cocktail, wine or a fresh draught beer. A perfect end to a busy day at the trade fair. Lovers of fine Italian cuisine will feel right at home at Ristorante Martinelli. Here a mix of excellent food, relaxed atmosphere and personable service awaits you. 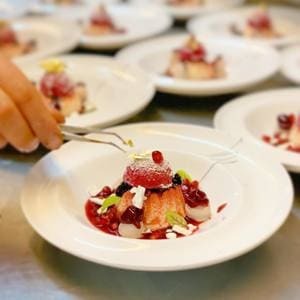 Because as “Padrona di casa”, Elena Martinelli provides food and drink with a side order of charm, friendliness and flawless know-how about wine for a fantastic mood in the restaurant. Dolce Vita in a small space. You won’t find pizza anywhere on the menu. 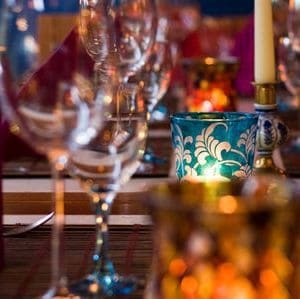 Instead, the pampered gourmet palate can choose between à la carte or multi-course meals. Braised, roasted, individually put together, whether fish, meat, risotto or other Italian specialities – everything is possible. If you love culinary surprises, you should opt for a 4, 5, or 6 course meal. High-quality Italian cuisine and a wide selection of the best Italian wines — Restaurant Martinelli aims to make your experience the best. Stress and bustle become second place.